We are a true full-service luxury ground transportation limo and coach company serving the greater San Francisco Bay Area airports from our Napa Valley location. We offer ground airport services to all commercial airports (SFO, OAK, SMF, STS and SJC) as well as regional and municipal airports (APC-Napa, 2O3-Angwin, 0Q9-Sonoma Skypark…) and their FBO’s. If you are looking for transportation from the airport to any destination in Napa Valley or Sonoma Valley and the entire Northern California region, we will handle all your needs. 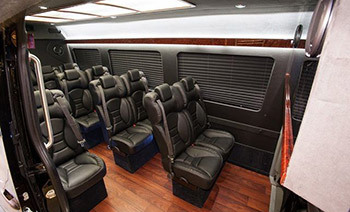 From meet and greet to arrival at your destination, we will get you where you are going in comfort and style. Want something more? Ask us about any extras you need. We can supply snacks, beverages, specialized food choices, sparkling wine, or even a picnic lunch. Take the hassle out of ground transportation by taking advantage of our VIP private transfer services. We have the experience, local knowledge, fleet selection, and full range of services to exceed your expectations! Contact our Reservation and Concierge Team to start planning your perfect stay.